On this new series Pathways To Playwriting, Editor Jennifer Richards is looking at different routes into the theatre industry and becoming a playwright. First up: playwriting awards! Entering playwriting competition can seem like a mystical world sometimes – what are the judges looking for? Will my play even get read? And what actually happens if you win? 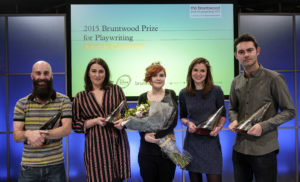 London Playwrights’ Blog got to speak to three fantastic playwrights who are all well-versed in the world of playwriting awards: Phil Porter, one of the winners of the first Bruntwood prize and now a judge on this year’s panel; James Fritz, who was a Bruntwood Prize winner in 2015 for his play Parliament Square; and Stephen Jackson, who won the 2015 Verity Bargate Award with his show Roller Diner. And we thought, who better to ask all our questions to? Q: What convinced you to enter? Q: I’m unlikely to win, so should I even bother entering? Q: But I’ve been rejected before, so should I really submit again? Q: How do I know when the piece is ready to enter? Q: Surely it’s so subjective, so how do you judge plays? Q: What can happen after winning the award? 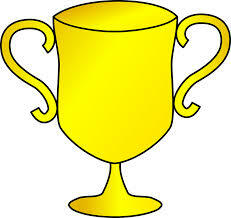 Q: Does winning an award change you as a playwright? Q: Are playwriting awards a viable route into the theatre industry? 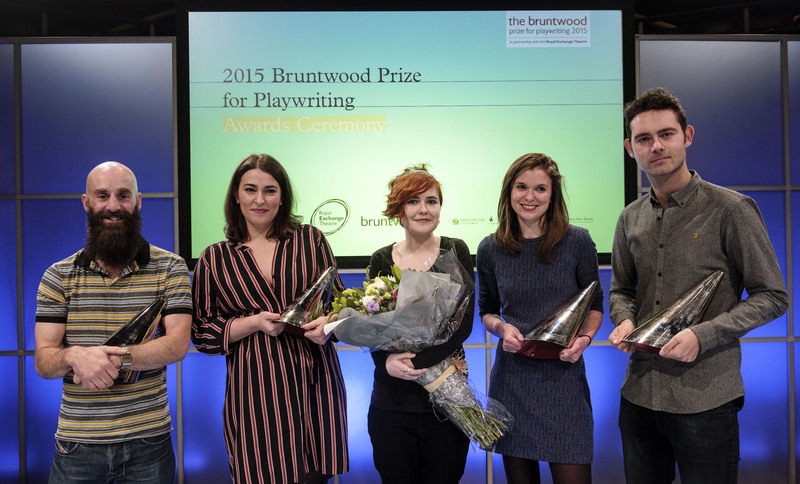 Q: So how should playwrights view playwriting awards? Entering awards with your fingers-crossed is probably not the best strategy if you want to become a playwright – but if you’re fortunate enough to win it can be an enormous boost to your career, and as these writers show, it’s always worth taking the chance of submitting. Even if you don’t win, competition deadlines can be a valuable motivator to finally finish the draft you always seemed to be halfway through. Or one of the readers could love your work and reach out, starting a new professional relationship. How can I make the most of this particular Pathway To Playwriting? There’s no easy way to manage the nerves every playwright feels in thinking their work isn’t ready or there’s no point in entering. It’s a bit like jumping into the deep end of the pool: it can be a bit frightening to take the plunge, but it’s much better than being left standing on the side. It’s normal to feel nervous, but don’t let it stop you. James, Stephen and Phil all show you’ve just got to go for it. You never know what could happen next. Keep track of when competition dates are coming up and research how you need to prepare. Fortunately, our Weekly Opportunities Roundup puts all this information at your fingertips. We recommend copying key deadlines into your diary or making mini-deadlines for yourself if it’s a particularly big project. Make sure you read the details early, so if you need a reference or synopsis you have time to organise this and don’t wind up unable to apply because you don’t have all your materials together. And it goes without saying, but you really don’t want to leave this to the last minute! There is a tradition of novelists taking pride in collecting and displaying their rejection slips – the more you have the better. Obviously everyone wants to win, but the more you submit, the better your odds of winning, so don’t let fear of rejection put you off submitting early and often. Every ‘no’ you collect represents a victory for putting your work out into the world, and means there is at least one more person in this world who has seen your writing. Plus, it may sound counterintuitive, but the more you submit and get comfortable with this process, the easier it is to let the ‘no’s’ just roll off your back – because there’s always another opportunity just around the corner. 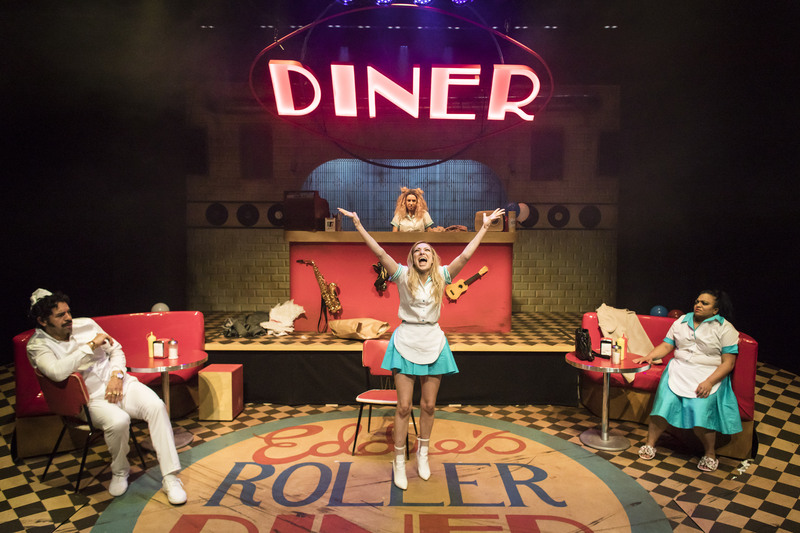 Stephen Jackson’s Roller Diner has been nominated for Best Comedy at the Wilma awards, which you can vote for here.